Volunteering work with Rotary, changes lives! Whether you are volunteering by helping in a local community project or responding to local and international disasters, there is a project or activity to suit everyone. One of the most interesting and challenging is putting on the Party In The Park event – would you be interested? By volunteering with Rotary, you know that you will be changing people’s lives for the better. We welcome men and women from all walks of life to join as members. Membership is a great way to make new friends whilst working together raising funds or delivering help for causes both international, or nationally or within our local community. Please see Our Club page for more information on Poynton and District Rotary Club. Our largest charity fund raising event is the spectacular annual concert Party in the Park, featuring all kinds of music, to suit all tastes. This concert runs from the afternoon to late evening with a number of top quality bands on the platform. The performance is held in the beautiful setting of Poynton Park, in front of a large audience of several thousand people. Party In The Park was held on 16th June 2018 and lived up to the claim of ‘bigger & better’ this year. 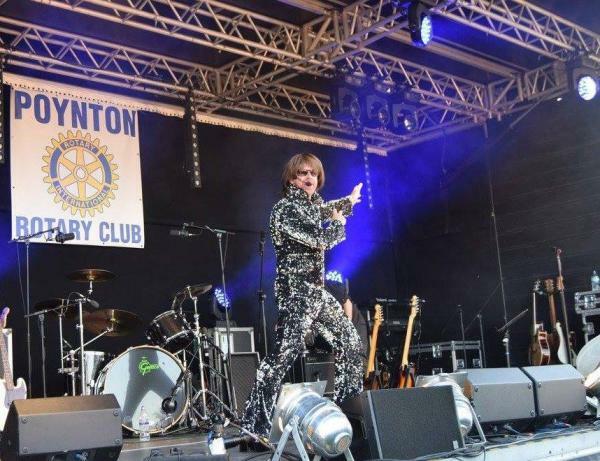 Poynton Rotary’s charitable works depend heavily on the income generated from ‘Party in the Park’ ticket sales, merchandising and sponsorship of this our main fundraising event, which is the culmination of 9 months of planning and preparation. We have many other fund raising events throughout the year, which also help to address the needs of very many local needs such as hospitals, hospices, charity groups, community groups and individuals who can clearly demonstrate a need. For photos and the video from our last event, please see the Gallery page. We also help those in need in poorer third world countries, particularly following natural disasters, and we continue to generously support Disaster Aid UK & Ireland in humanitarian work around the world. As a club we also initiate and support projects to improve sanitation and access to clean water for remote communities in developing countries. As well as raising funds for all kinds of needs, we do have social occasions, parties, guided walks, theatre trips and interesting after dinner guest speakers, documented in our Events diary. Please take a look through the pages of our website to gain a good flavour of what Rotary and especially our local Rotary Club is all about. If you wish to contact us by email at info@poyntonrotary.org or if you would like to come to one of our meetings, please see Visit Us for details. Poynton Rotary - What's it all about? Poynton Rotary is part one of the world's largest and most successful global membership and humanitarian service organisations, with 1.2 million members in over 200 countries. The Rotary Foundation is Rotary’s own and only charity delivering our vision of a better world. The Rotary Foundation is supported solely by contributions from Rotary members and friends of the Foundation. Those contributions, gifts and donations are transformed into service projects that change the lives of thousands of people across the world. With 91% of funds spent on the programmes and projects it delivers, The Rotary Foundation, based at the Rotary Headquarters in Illinois, USA, is globally recognised for its financial efficiency, accountability and transparency. Each year, The Rotary Foundation gives $70 million worth of grants to Rotary clubs throughout the world for humanitarian projects, vocational training and scholarships in Rotary’s cause areas. Ranging from small-scale, short term activities to large, international projects, Rotary grants strengthen global partnerships and provide sustainable and measurable benefits to communities. 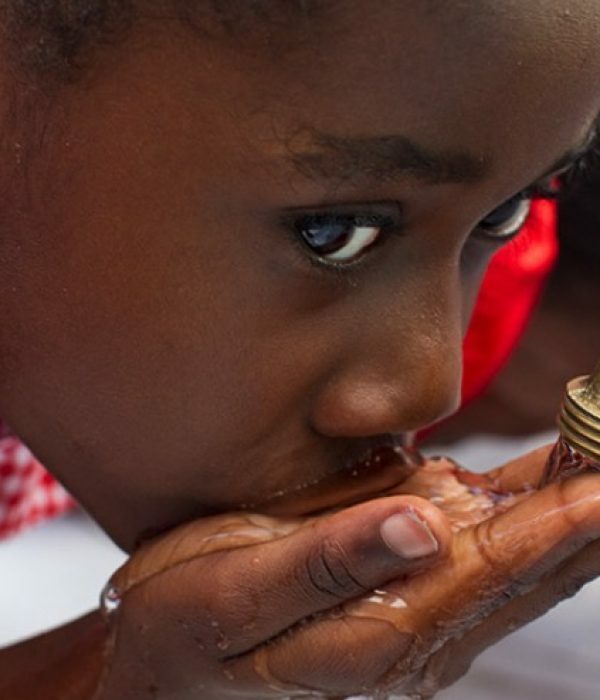 Grants from The Rotary Foundation support over 1,000 projects every year. RFUK has recovered over £1 million in Gift Aid since 2001, allowing even more communities to benefit from The Rotary Foundation.